MAGNA3 has a European Energy Efficiency Index of 0.20, which exceeds the efficiency ratings of any circulators now on the market in North America, according to the company. 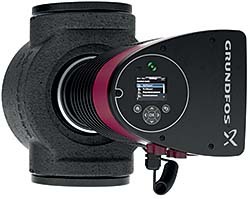 It continuously adjusts circulator performance and has control mode that reduces the need for pump throttling valves. Magnetized rotor and carbon fiber reinforced composite rotor can.